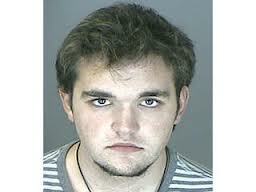 18 year old Austin Sigg pleads guilty in the death and dismemberment of Jessica Ridgeway. Sigg faces a minimum sentence of 40 years in prison with the possibility of parole; however, was not eligible for the death penalty because he committed his heinous crimes at the age of 17. At the very least, the family of Jessica Ridgeway will at least be spared the ordeal of a trial and have to live again through the viscous and unspeakable murder of their daughter. Honestly, there is no punishment that could be given to this piece of human waste other than the death penalty. A Colorado teen charged with kidnapping and killing a 10-year-old girl pleaded guilty Tuesday to all 15 charges against him, against the advice of his attorneys. Austin Sigg, 18, could be sent to prison for the rest of his life for the slaying of Jessica Ridgeway in Westminster nearly a year ago. Jessica was abducted while walking to school, and her disappearance panicked thousands of residents in Denver’s western suburbs. Sigg also pleaded guilty Tuesday to a May 2012 attack on a 22-year-old jogger at a lake in Jessica’s neighborhood. Prosecutors said Sigg entered the pleas because of overwhelming evidence against him. His trial would have started Thursday. Sorry, 17 year old’s need to face the death penalty as well. Austin Sigg, the 17 year old teenager who confessed to the death of 10 year old Jessica Ridgeway, has been charged as an adult. Austin Sigg has been charged with 17 different counts that include felony murder, kidnapping and sexual assault. Eleven of the counts are related to 10 year old Jessica Ridgeway that include, murder in the first degree, two counts of second-degree kidnapping, robbery and sexual assault on a child. Sigg also faces an additional six charges relating to an attempted kidnapping of a 22 year old female jogger in Ketner Lake earlier this year. In this case, Sigg is charged with attempted murder in the first degree, attempted sexual assault and attempted second-degree kidnapping. The teenager accused in the kidnapping and murder of Jessica Ridgeway has been charged with 17 different counts including felony murder, kidnapping and sexual assault. Austin Sigg, 17, made his first court appearance in Jefferson County court Tuesday morning. He will be charged as an adult in the case. Sigg faces a total of 11 charges directly related to Jessica Ridgeway’s death. They include: four counts of murder in the first degree, two counts of second-degree kidnapping, robbery and sexual assault on a child. Austin Sigg will be charged as an adult; however, sadly he will not face the death penalty thanks to the Supreme Court ruling in Roper v. Simmons that the death penalty was cruel and unusual for people who committed crimes while under the age of 18. Really, because of months we cannot stick a needle in a killers arm? If there was ever a case that cried out for the death penalty, it was the heinous kidnapping, sexual assault, murder and dismembering her body. Sorry, but when a person hits the trifecta of kidnapping, murder and dismemberment, you should not be allowed to live no matter how old you are. Today, 15 year old’s are no different from 18 year old’s. We need to ask ourselves as a society, who do our laws protect? Are you kidding me that we let this twisted, evil SOB live! It was a crime that was so heinous and unbelievable that many just sat back in horror when they had heard that missing Jessica Ridgeway’s body was found mutilated. All of us wondered what kind of sick and deranged SOB could have perpetrated such a savage crime. To our shock and dismay we learn it was a 17 year old. Police might have just arrested a potential serial killer in the making. 17 year old Austin Sigg has been arrested by police in the death of 10 year old Jessica Ridgeway. Austin Sigg was taken into custody after his mother had turned her son into police after she learned her son had involvement in the crime. Sigg had confessed to his mother that he killed Jessica Ridgeway. Let us remind everyone that there is no such thing as mother-son confidentiality when it comes to this going to court. Austin Reed Sigg was arrested Wednesday on suspicion of two counts of first-degree murder, one count of second-degree kidnapping and two counts of criminal attempts. The charges against Sigg are for Jessica’s death and for the alleged attempted abduction of a jogger in May 2012. Sigg will appear in Jefferson County Court later this morning for his initial appearance. The district attorney says he plans on charging Sigg as an adult. Investigators scoured the Westminster, Colo., home overnight where Sigg lives with his mother. FBI agents combed the backyard for clues and towed away his car. As if this case could not get any worse. Austin Sigg, the murder suspect who confessed to killing Jessica Ridgeway, has also confessed to keeping the remains of the 10 year old girl in the crawl space of his residence. Police searched the home for part of Jessica’s remains underneath the suspect’s family home. 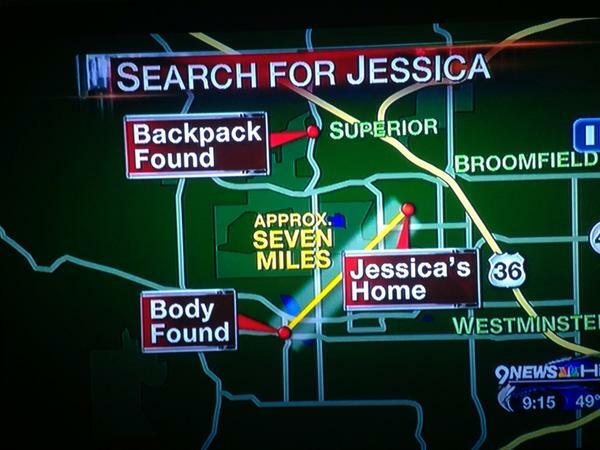 Police have said Jessica’s body was “not intact” when the remains were found in an open park area on Oct. 10, 2012. Sadly, but not unexpected, the police found remains of Jessica Ridgeway in the suspects home. The source says Sigg told police he drove by Jessica Ridgeway on the morning of October 5, turned his car around and grabbed her. He brought her into the car where he hog-tied her and then he strangled her to death. Police want to find out how an abduction turned into a bizarre and gruesome murder. They hope to find those clues inside the suspect’s home. The source tells Justin Joseph FBI evidence recovery teams found parts of the little girl’s body inside the crawl space at the house. Autin Sigg will appear in court today to in connection with the death of Jessica Ridgeway. For more updates, read others comments and provide your own, go to Scared Monkeys Missing Persons and Crime forum: Jessica Ridgeway. 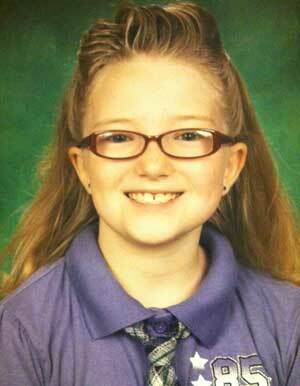 10 year old Jessica Ridgeway had been missing since October 5, 2012 . A body had been found this past week and removed from Pattridge Park in Arvada, CO. No confirmation had been provided as to the identity as we learned that the body had been unthinkably badly dismembered and “not intact”. However, local media had stated it was that of the missing 10 year old girl. Sadly, but not unexpected, Police in Westminster, CO officially confirmed that a body found Wednesday belongs to missing 10 year-old Jessica Ridgeway. “We recognize there is a predator at large in our community,” said Westminster, Colo., Police Chief Lee Birk. America, it’s time to get JUSTICE FOR JESSICA. The Westminster, CO area has a murderous child predator in its midst. Please be vigilant of those around you. The FBI Releases Behavioral Profile of Possible Suspect. The suspect is likely male and might have recently missed work or suddenly left town, according to the FBI’s Behavioral Analysis Unit. The suspect might have already changed his appearance and gotten rid of his car. “It could be your boss, it could be your friend and, ultimately, it could be your family member,” FBI spokesman David Joly said. The FBI is asking for the public’s help locating the suspect, who might have been a “no show” and missed work immediately after the incident and offered a plausible excuse such as illness. This animal will eventually be found. When he is, what are the odds that he had a previous sexual predator past? 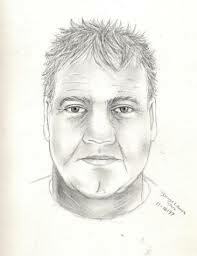 Last year, the police has released a sketch of a man who was believed to have been involved in two attempted abductions near the location of where Jessica’s body was found on Oct. 10, 2012. Is there a connection> It’s hard to believe there is not.